With the festive season almost upon us, คาสิโนไทยCoco Crafted Organic Chocolates presents SOM Sound of Movement and An Evening of Live Contemporary Dance and Music entitled, ‘Quantum Peace’. SOM is a multi-disciplinary group that offers live dance and music as well as video projections that create a soundscape of visual movement. 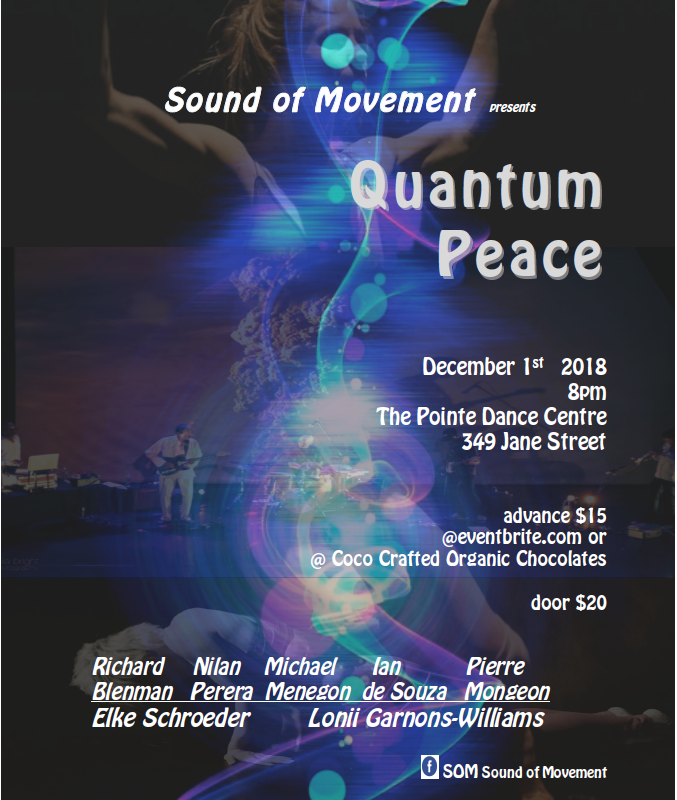 This special event is being performed at the newly opened The Pointe Dance Centre at 349 Jane street in two of their beautiful adjoined studios.? Seating is limited with additional standing room or floor seating available.? Advance ticket purchasers will get reserved but not numbered seating. Tickets can be purchased in advance at eventbrite?or in person at Coco Crafted Organic Chocolates at 365 Jane Street.? You can also purchase tickets the night of the show at the door. To get more information about SOM visit them on Facebook – SOM Sound of Movement.